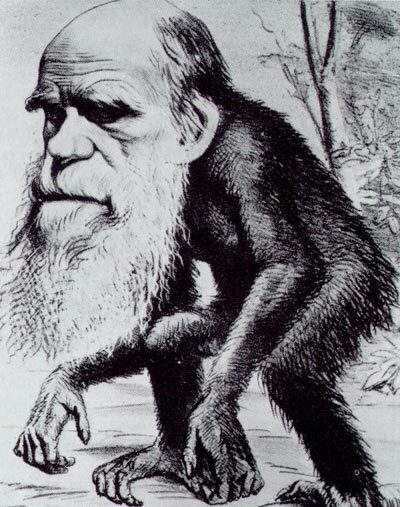 An 1871 caricature was typical of showing Darwin with an ape body, identifying him in popular culture as the author of evolutionary theory. Under the constant struggle to exist, inferior organisms are more likely to die before they can reproduce. On average, superior living things with useful traits are more likely to survive and reproduce and thus to pass on their helpful features. As a result, the next generation changes slightly, the struggle for survival goes on among the descendants and the process is repeated. In other words, the struggle for existence selects organisms with helpful variations but makes others die out. Another useful definition of evolution: A gradual development, from a less adaptable to a more adaptable form through the process of natural selection. Darwin outlined his theory in his book On the Origin of Species by Means of Natural Selection in 1859 which was met with ridicule, antagonism and skepticism before it was accepted. x Less known are Darwin's botany experiments, especially with orchids. 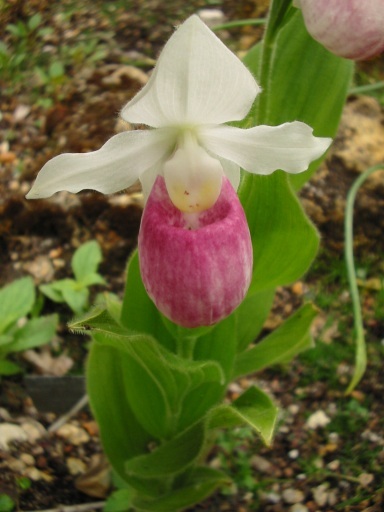 In 1862 Darwin showed that orchid's beauty was not “designed” by God to please humans but honed by natural selection to attract insect cross-pollinators. But why the importance of cross-pollination? Darwin's botanical work was always related to his evolutionary mechanism. He believed that cross-pollinated plants would produce fitter offspring than self-pollinators, and he used considerable ingenuity in conducting thousands of crossings to prove the point. Darwin also studied insectivorous plants, climbing plants, and the response of plants to gravity and light (sunlight, he thought, activated something in the shoot tip, an idea that guided future work on growth hormones in plants).